As Good as the First Time by K.M. 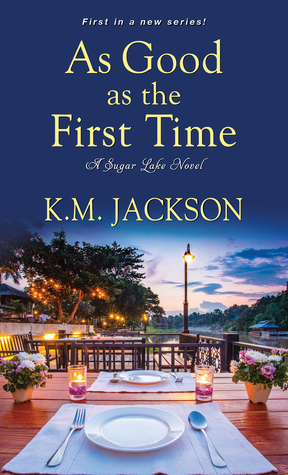 Jackson is the first book in the new contemporary romance Sugar Lake series. This opener of the small town romance series has the big city girl returning to the small town for a second chance with her old sweetheart. Olivia Gale had been working at a good job in New York and had a boyfriend she thought things were going well with until in the course of one day she loses both. A victim of downsizing she doesn’t even get the chance to get the news out before her boyfriend ends things abruptly. However, right after Olivia gets a day full of bad news the family gets a phone call from Sugar Lake where her aunt needs help running the Goode N’ Sweet bakery after an accident. Olivia volunteers to go help out but is joined by her sister as the pair heads to Sugar Lake where Olivia runs into Clayton Morris who had left Olivia broken hearted years ago. Now normally I’m all about the small town romances but for some reason this one didn’t grab me the way I’d like. Perhaps it was starting with the abrupt relationship ending which always makes me question why a character jumps from one relationship to another or perhaps it was the constant bickering between the sisters and lots of other small town drama but I never really felt the romance shined in this story or connected to the characters very well. It’s not a bad book but I think it tried a bit too hard to cover a lot of often used tropes and just didn’t grab the emotion side of a story. A native New Yorker, K.M. Jackson spent her formative years on the ‘A’ train where she had two dreams: 1) to be a fashion designer and 2) to be a writer. After spending over ten years designing women’s sportswear for various fashion houses, this self-proclaimed former fashionista took the leap of faith and decided to pursue her other dream of being a writer. An award-winning contemporary romance writer, K.M.’s self-published novel, Bounce, won the Golden Leaf for best novel with strong romance elements from the New Jersey chapter of Romance Writers of America. She was also named Author of the Year by the New York chapter of Romance Writers of America. A mother of twins, K.M. currently lives in a suburb of New York with her husband, family, and a precocious terrier named Jack that keeps them all on their toes. 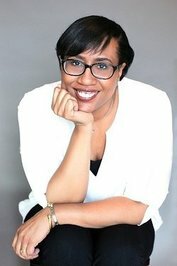 When not writing, she can be found on Twitter @kwanawrites, on Facebook at Facebook.com/KmJacksonAuthor and on her website at KMJackson.com. Uh oh, you need a good 4 or 5 star read Carrie. I love second chance romances, but may pass on this one.